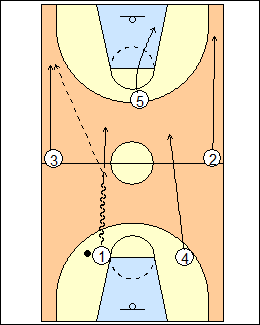 Swing is their transition game, it gets them into dribble-drive. There are different entries. 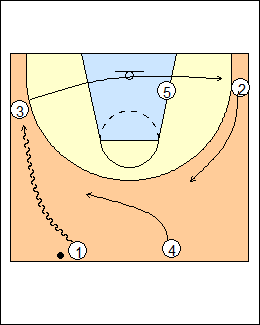 Go 5 on 0 up and back, new players come on (halfcourt diagrams are shown for clarity). 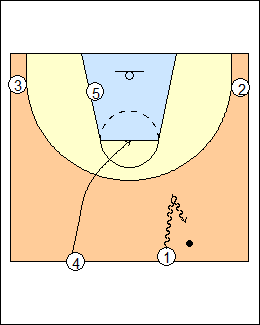 See Offences - Kentucky dribble-drive, Kentucky ballscreens. 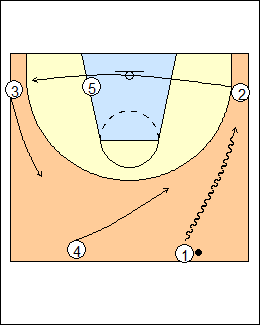 1 passes ahead to 3 (in transition, or in the corner). 3 passes back to 1, 4 cuts through the elbow (through cut). 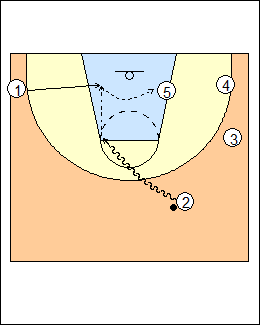 1 drives to the drop-2 zone, 5 relocates for a lob pass and finishes. - work both sides of the floor. 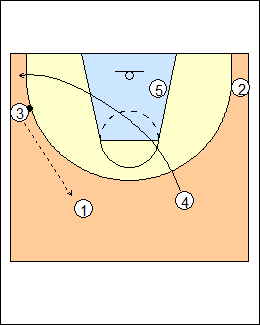 1 makes a pullback dribble, 4 nail cuts (or through cuts). 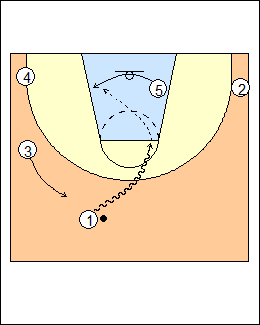 1 drives to drop 3, 5 relocates, 3 loops for a pass and one-dribble pull-up. 1 clears 3 (waves him through). 1 passes to 4, who passes to 2 and through cuts. 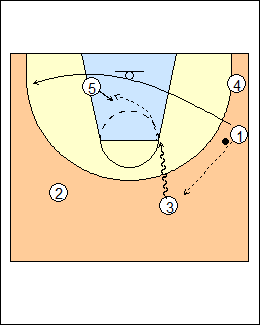 Drop 3 backdoor, lob pass to 5. Variation - drop 3 loop. 4 backcuts and clears, 3 replaces 4 on the lane line. 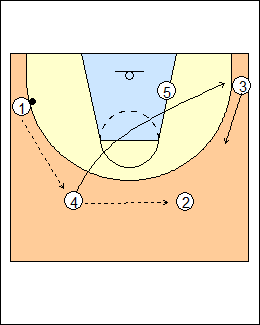 1 passes to 3 and basket cuts, 3 drives the drop zone for a lob pass to 5. 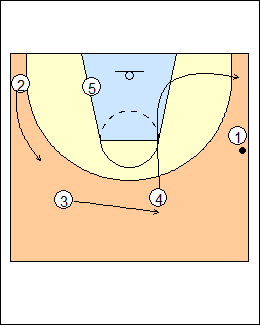 - 4 loops or backcuts from the corner.